Please find below classifieds in category Home, garden category in Austin. Please use the form above to refine your search in Home, garden in Austin. If you can not find what you need in Austin please add your wanted ad to let sellers contact you. If you want to keep your contact info confidential enter only your email address so you will receive offers into your account in our system. You can click Post a classified ad link below or the button Post classified for FREE in top right corner of this page to post your classified ad in category Home, garden in Austin. It is fast, easy and free to post an ad in FREEADSinUS.com. It will take you just few minutes to have the ad available on our listings. You can edit your ads any time by clicking “Edit my ads" button on top right corner of this page. 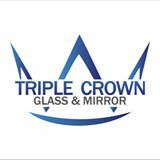 If you are looking for glass replacement services in Belton, TX, get in touch with Triple Crown Glass & Mirror. The technicians specialize in replacing glass for windows, sliding doors, storefront etc. To know more about the glass replacement services provided be the Belton based company, call at (254) 931 – 7961. 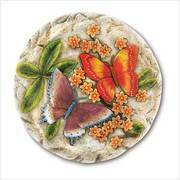 A pair of vivid butterflies frolics amongst lush foliage, enlivening a bas-relief stepping stone with glowing colors and romantic sentiment. Sure to be the crowning jewel of your garden. Cement. 11" diameter x 1" thick. Haquegiftshop has an excellent selection of eye catching garden décor at 30% discount on every item. This is classifieds listing page in category Home, garden in Austin. The listings include ads for sale and wanted ads posted in Austin location on our site or sourced from Oodle.com from categories related to Home, garden. If you posted an ad on this page before please click "Edit my ads" button to sign in your account and edit your classified ads, check the requests sent to you from your ads contact forms or check the offers sent to your wanted offers. 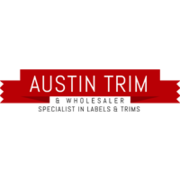 Home, garden Austin classifieds, Austin ads, Austin classified ads, garage sale Austin. Find here ads for sale, to buy and rent in Austin. Goods for sale in Austin, vehicles for sale in Austin, Austin real estate for sale, Austin property for sale, property for rent in Austin, business ads in Austin, Austin business classifieds, services in Austin, Austin services ads, jobs in Austin, pets for sale in Austin, Austin dating, Austin cars for sale.